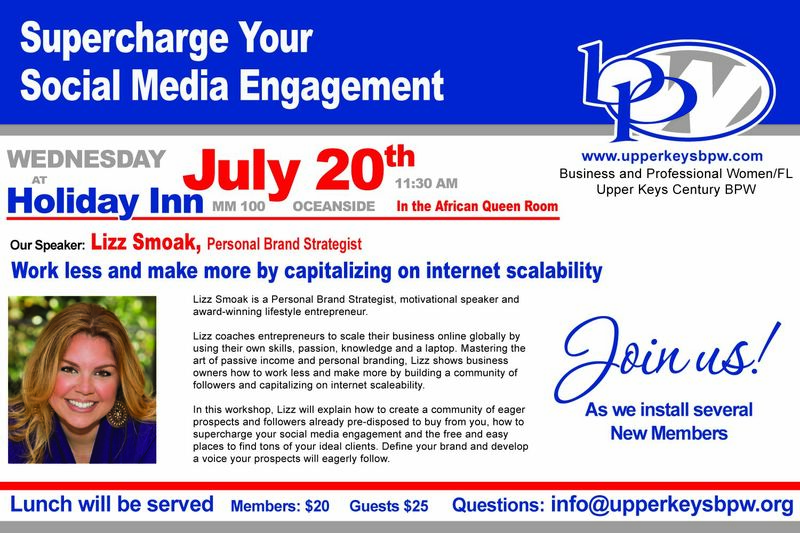 Join us for our July Luncheon as we welcome our speaker, Lizz Smoak, Personal Brand Strategist and Online Business Consultant. She is a Key Largo local that has been featured on TED Talks and is also growing the local Girl Scouts. Have your questions ready for anything business, branding, social media and online marketing.